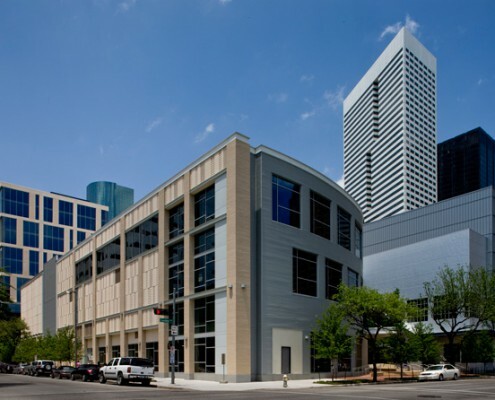 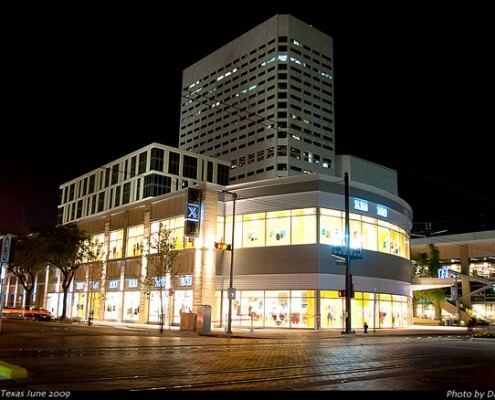 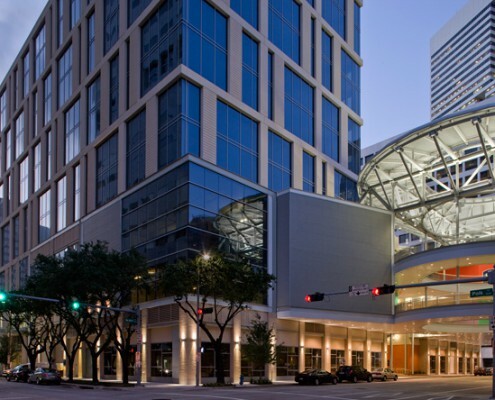 An open-air 430,000 sq ft twp to three level retail and entertainment center and 220,000 sq ft, eleven story office building mixed-use complex located on three city blocks in downtown Houston, Texas. 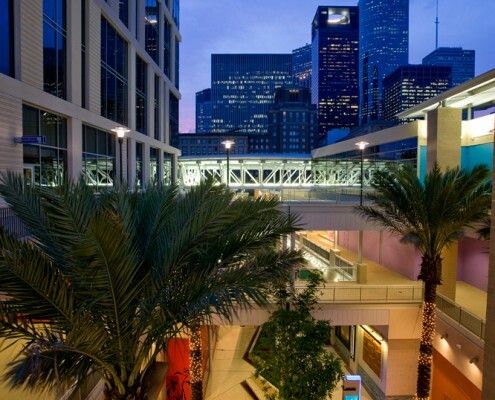 The open-air center includes six separate buildings clustered around a center courtyard (spine) stretching over three full city block in downtown Houston, Texas. 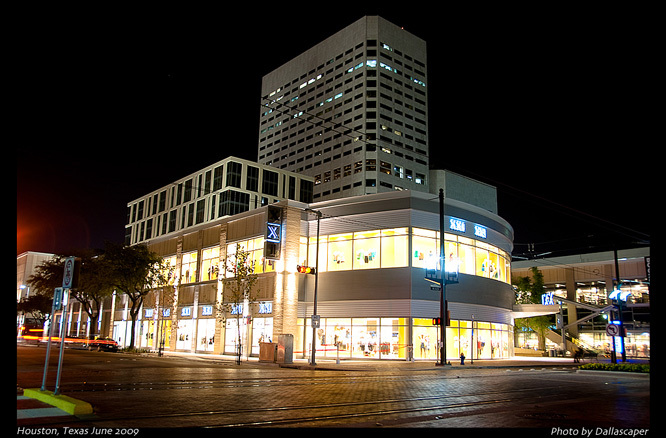 The site is bounded by Main Street, Dallas, Caroline and Polk. 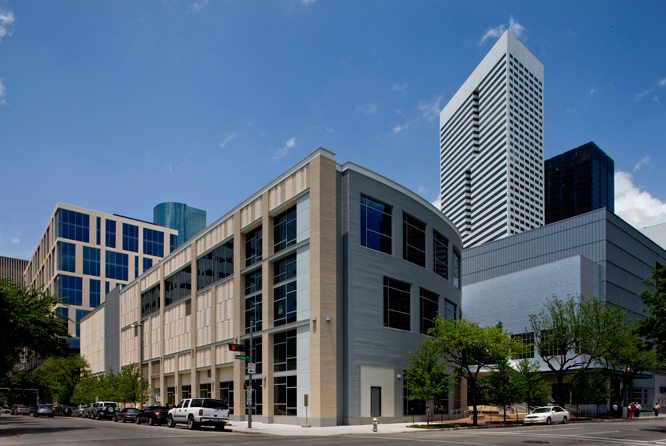 Bisecting the site are two major arteries into downtown Houston, Fannin Street and San Jacinto. 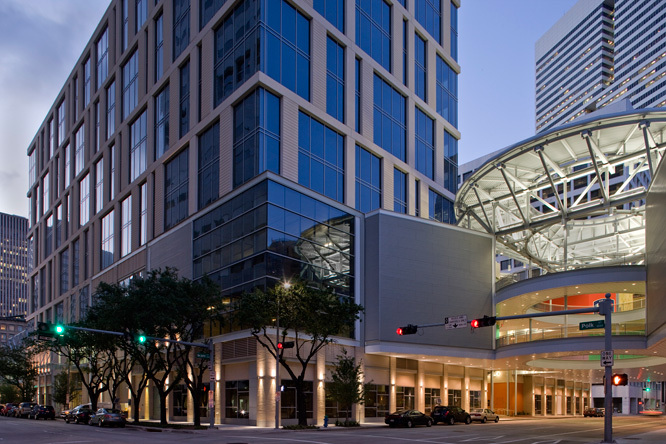 At the second level there are two sky-bridges that cross Fannin and San Jacinto connecting the project as a continuous element. 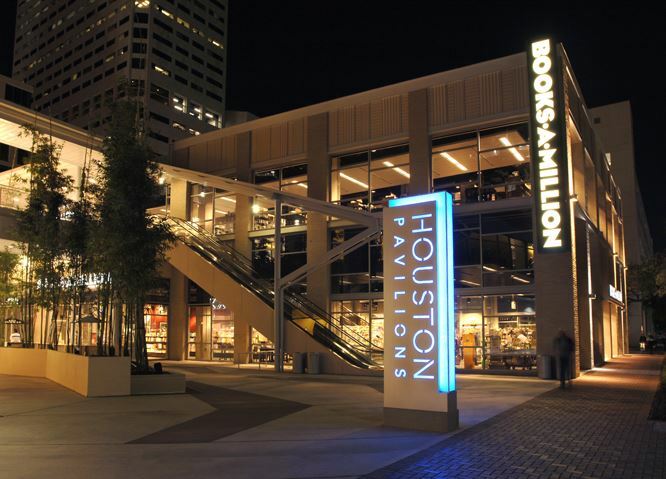 The signature of Houston Pavilions are the two circular elements (“Hats”) that are illuminated at these two major cross points. 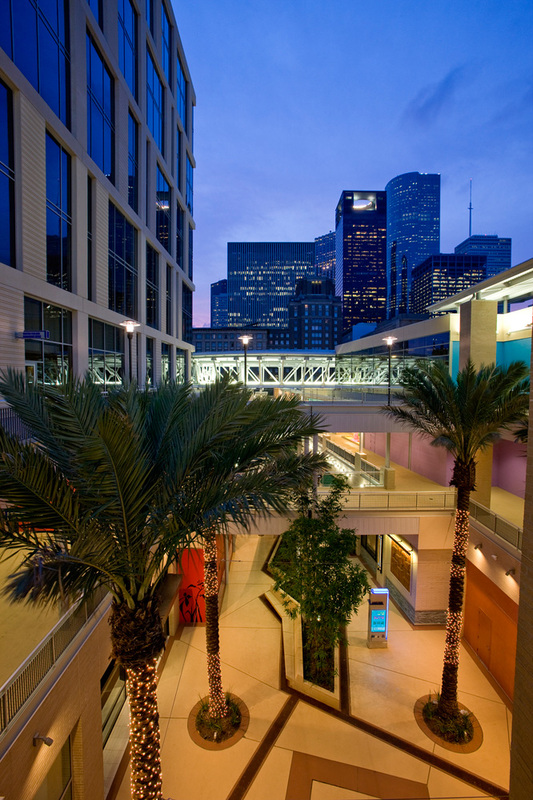 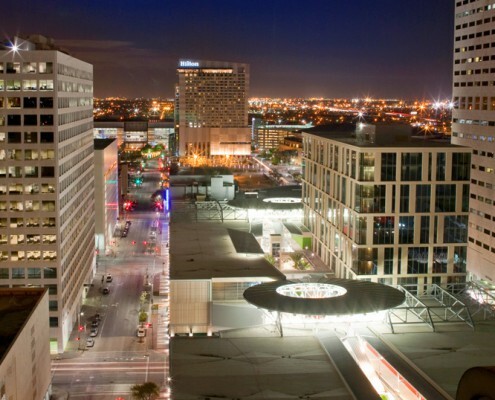 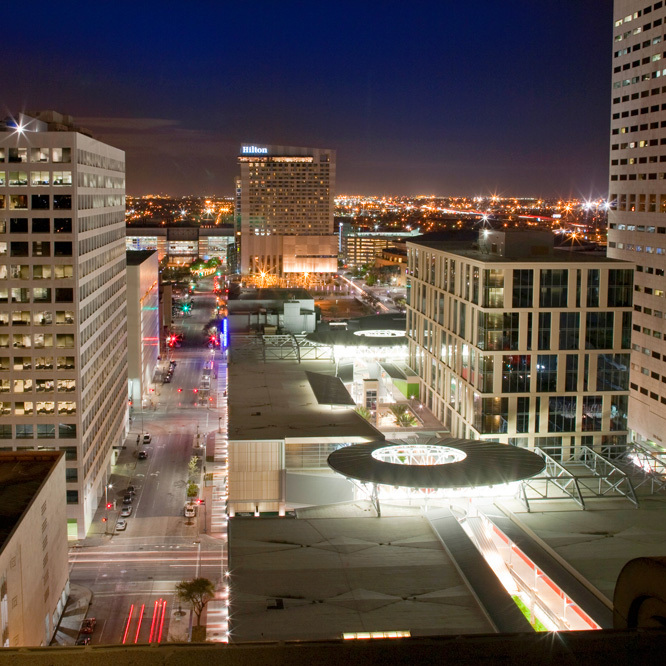 This gives Houston Pavilions a major presence and distinction in the downtown area. 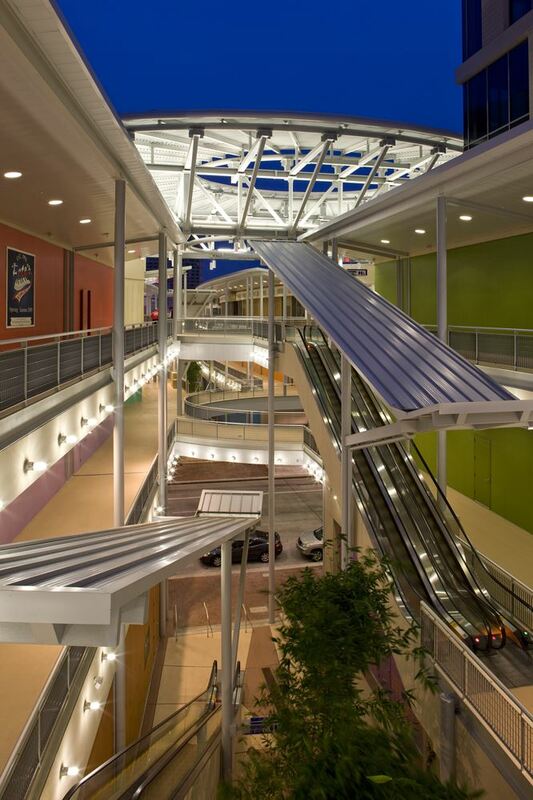 The center includes entertainment venues, restaurants and dry-goods. 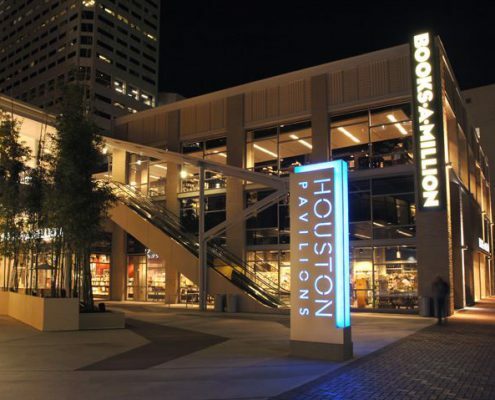 Houston Pavilions is anchored by a 43,000Sq Ft House of Blues Music Hall and with multiple restaurants within along with three different music venues. 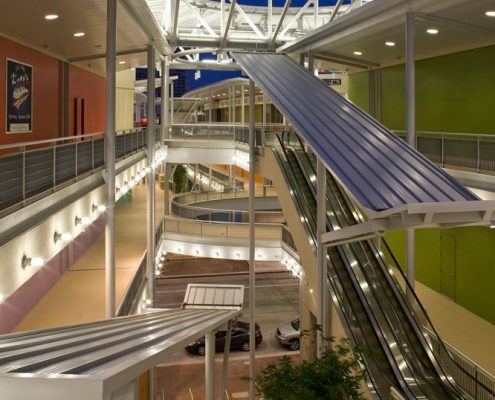 In addition the Pavilions houses Luck Strike Bowling Lanes, McCormick & Schmick’s, Three Forks (steakhouse), Yao’s, Mia Bella, Forever 21, Books-a-Million, BCBG, Pete’s Dueling Piano Bar, Polk Street Pub, Qatar Airlines, Journey, Guadalajara Mexican Grill and Unity Bank just to name a few.